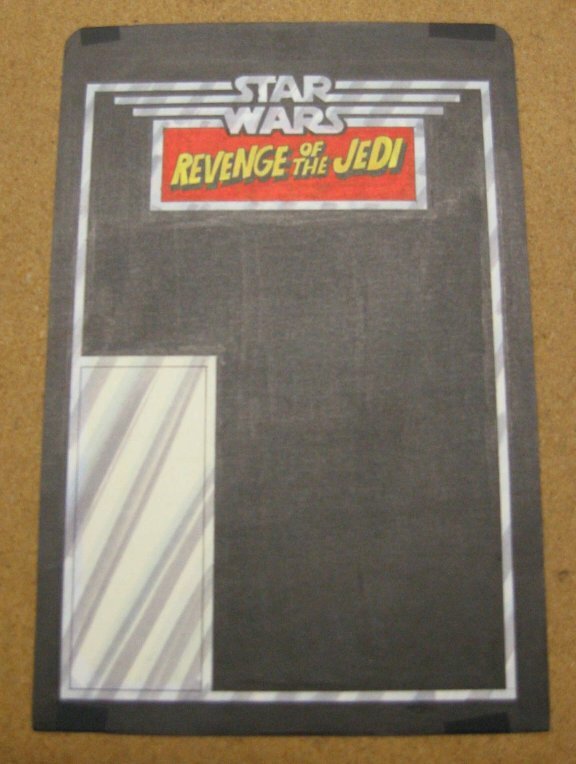 This is a hand-made mock up card for Kenner's Revenge of the Jedi action figure line. For the then titled film, Revenge of the Jedi, Kenner considered alternate packaging designs that were a slight departure from the film logos used for A New Hope and Revenge of the Jedi. Typical of the graphic design process at the time, several mock ups were created to narrow a choice that would be used consistently across the line.